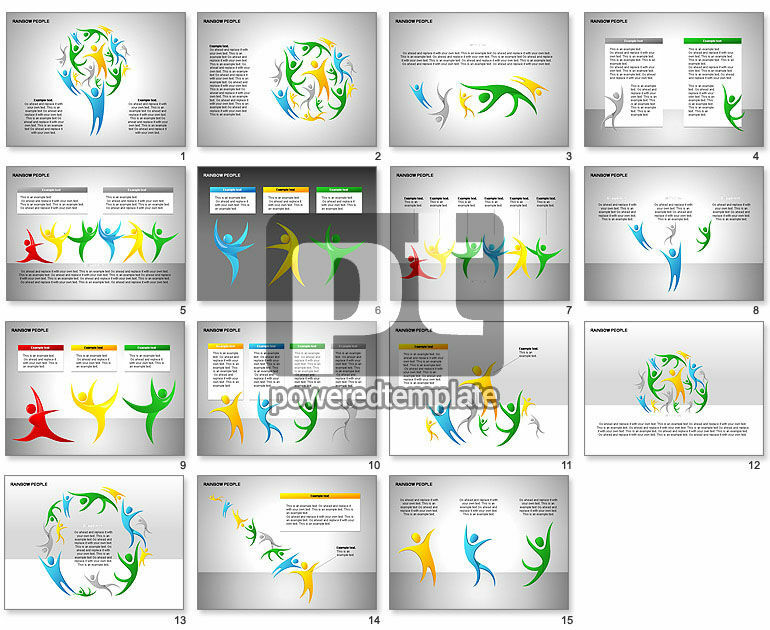 These presentation slides 26859 are complete compatible with Google Slides. Simple download PPTX and open the template in Google Slides. Dancing human silhouettes in a rainbow colors will be suitable for presentations on various topics as human resources, human factor, human influence, peoples features, etc.